avast! 5 is coming... soon! After a long time of keeping everything in secret, I’m glad that I can now disclose some preliminary information about the upcoming avast! version 5. The first thing to note is that the product is coming relatively soon. Namely, we’re currently planning to release it this October. The product will be offered in three flavors: a free AV (that will supersede avast! 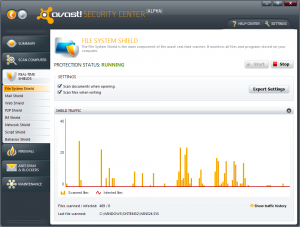 4.8 Home Edition), a paid AV (successor of avast! Professional Edition) and a full Internet Security suite. 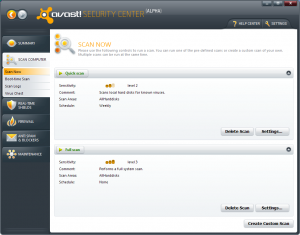 As usual, all customers (or users) with a valid avast! subscription will get a free upgrade to this new version. The free AV will, of course, contain all the features from the existing Home Edition, plus a couple of new extras (I’ll be sharing more details on the blog as time goes by). The paid AV now includes a new virtualization module as well as all the features from the free AV and features previously exclusive to avast! 4.8 Pro. And finally, the suite adds an antispam and firewall module and will thus provide you with a complete, worry-free protection. 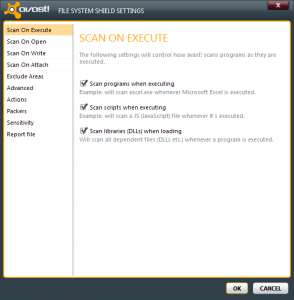 All three products will share the same antivirus engine (e.g. all of them will still have exactly same detection rates) that has been substantially improved and optimized. It may sound like a cliché, but it’s a fact: the new engine can detect more viruses, while actually consuming less resources. The performance optimizations were not confined to the AV engine only; the program now uses various tricks to feel as light as possible and to not interfere with your work in any way. For example, we have radically improved the time it takes the computer to boot, making the slowdown imposed by avast! almost unnoticeable. I’ll be very interested in getting some feedback from you on this one (as soon as you get a chance to test it – please read on). Starting with version 5, avast! now officially supports heuristics (proactive detection), although between me and you, many of the stuff has already been present in the previous versions - but we haven’t marketed it in any way. 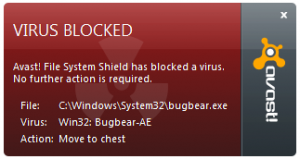 Also, detection of Potentially Unwanted Programs (PUPs) has been added. Additionally, version 5 includes a new code emulator (or in fact, a dynamic translation module, to be technically correct) that will be of great help e.g. when unpacking malware samples packed/protected by unknown packers (as is the case pretty often). All three products also feature a new user interface which has been completely redesigned for this new version. We’re abandoning the dual (simple vs. enhanced) UI model and replacing it with a single comfortable console, designed for both novice and experienced users. I’m attaching a couple of screenshots to give you an idea of what the product actually looks like. 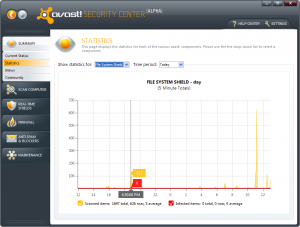 The beta testing of avast! 5 will start in a couple of weeks (roughly by the end of July / beginning of August), so if you are interested to give it a try, please check back soon as I’ll be posting the details here on the blog as well as on our forums.